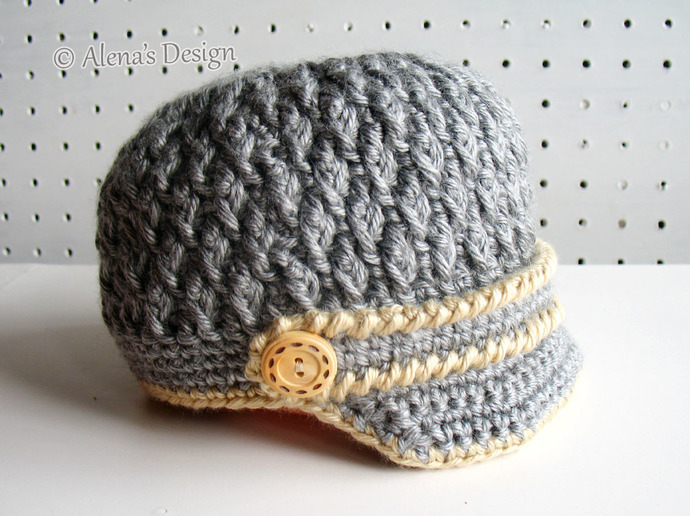 This Two-Button Baby Visor Hat is a treasured garment for any baby. 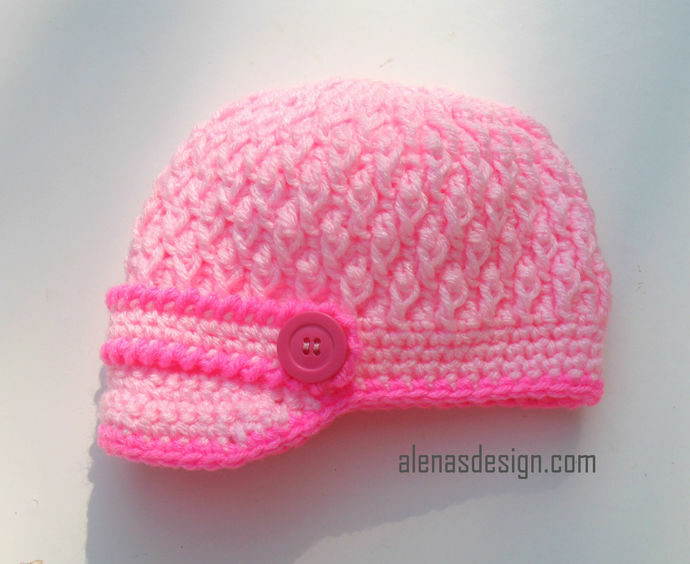 The visor is perfect for keeping the sun out of child’s eyes. 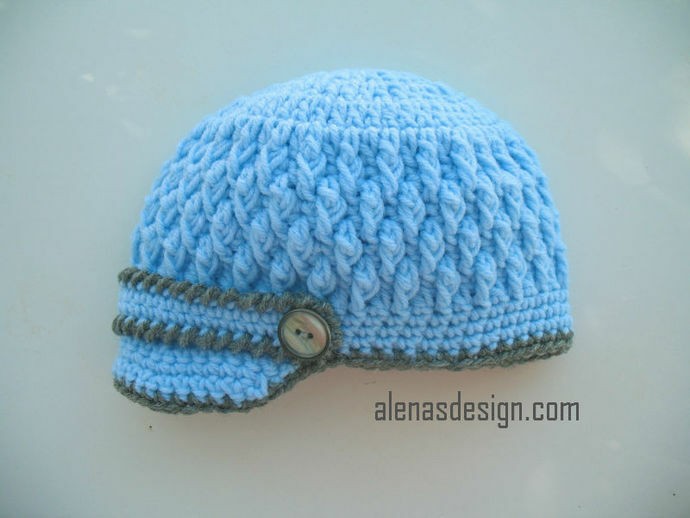 The strap with buttons is a special charming accent. 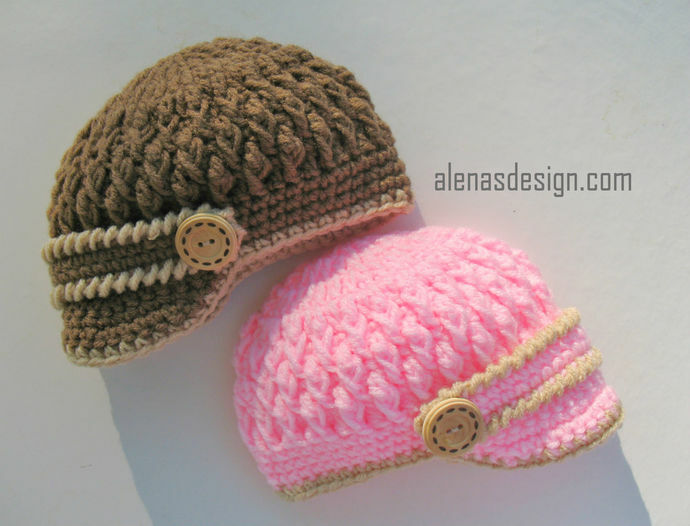 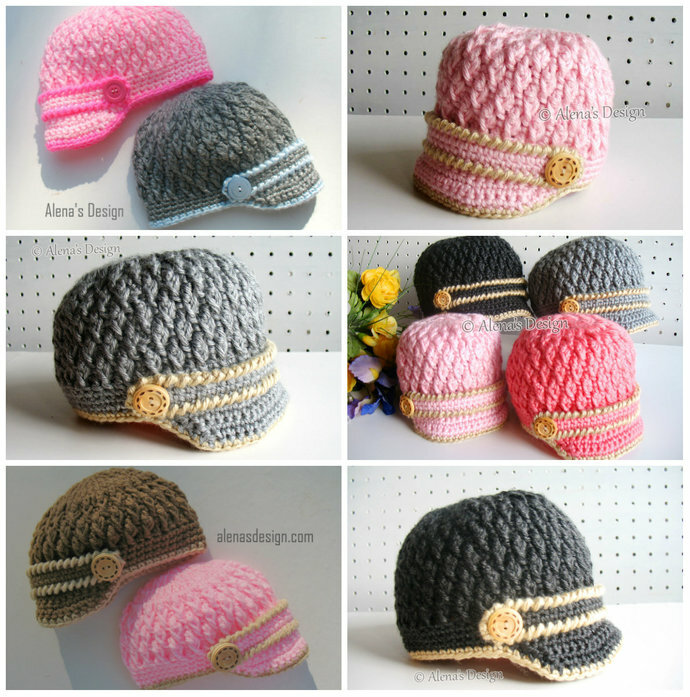 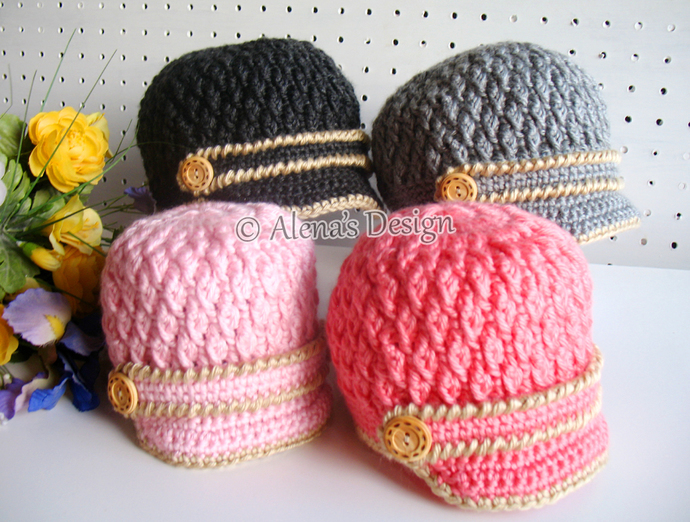 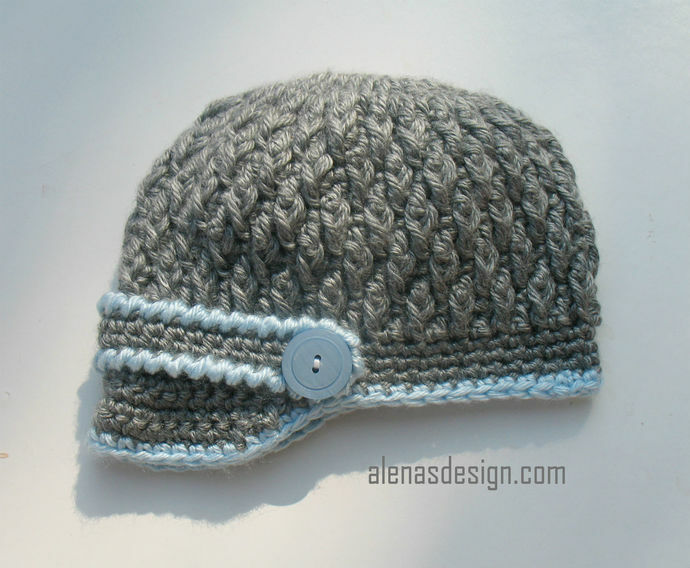 This Visor Hat is suitable for all boys and girls.This pattern is a primary component of my crochet set consisting of Baby Visor Hat, Booties and Jacket. 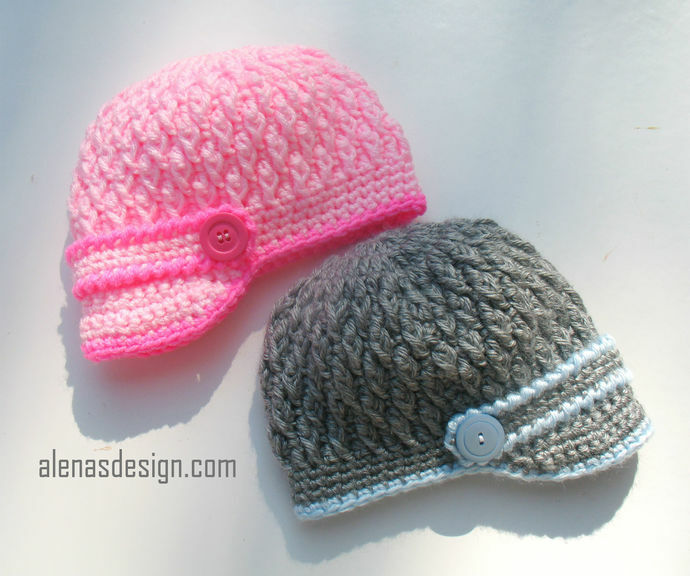 Worsted weight yarn, Red Heart Super Saver, or Caron Simply Soft, two buttons.